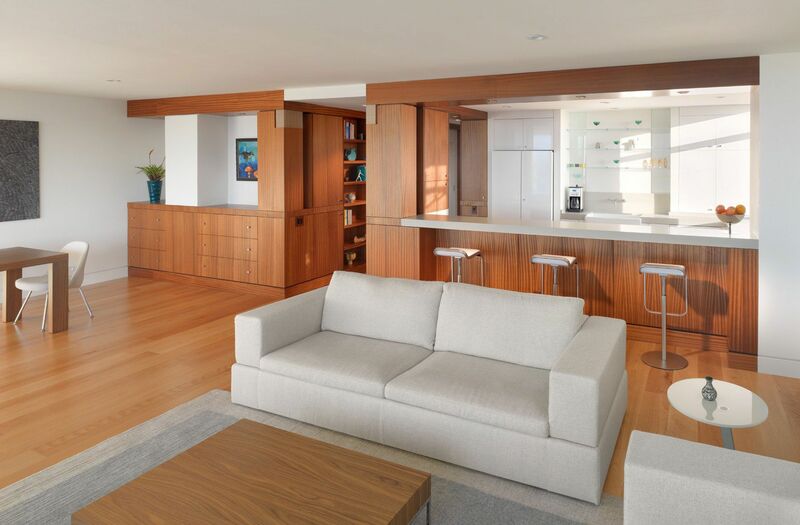 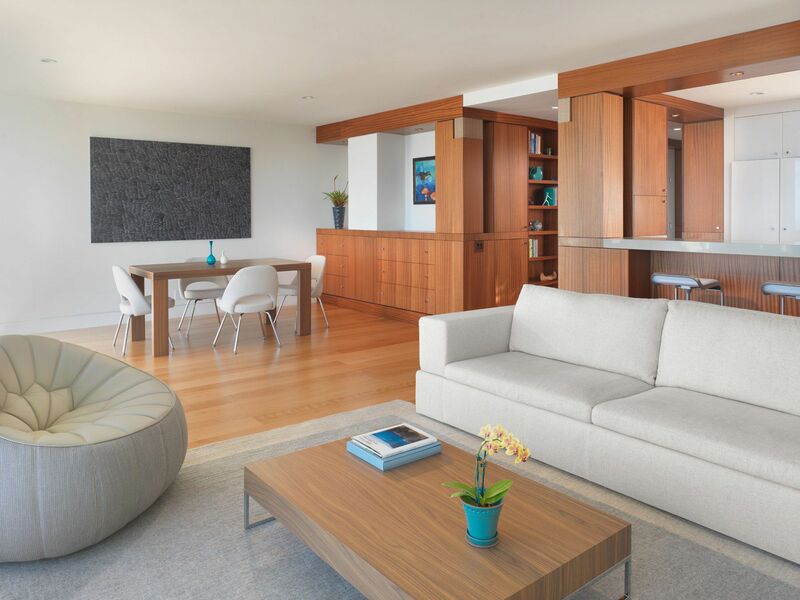 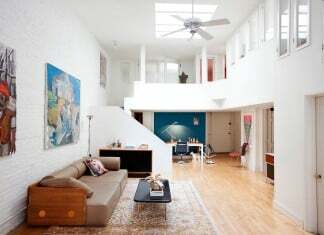 This 1,000 square foot 1960s condominium on Russian Hill was a challenge to make efficient use of a small living area and illustrates how well thought out design can transform very limited space. 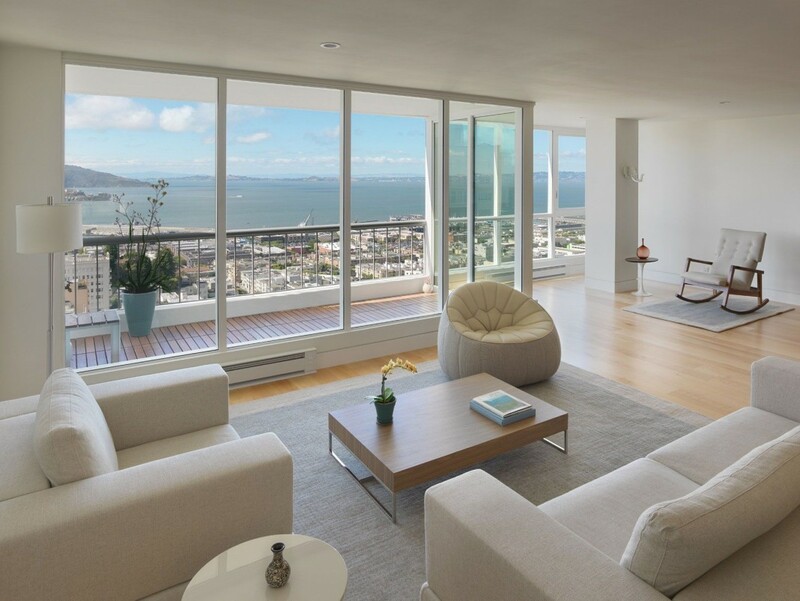 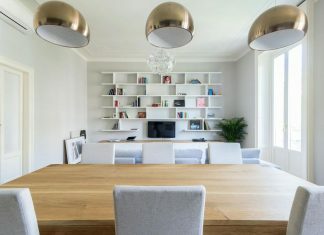 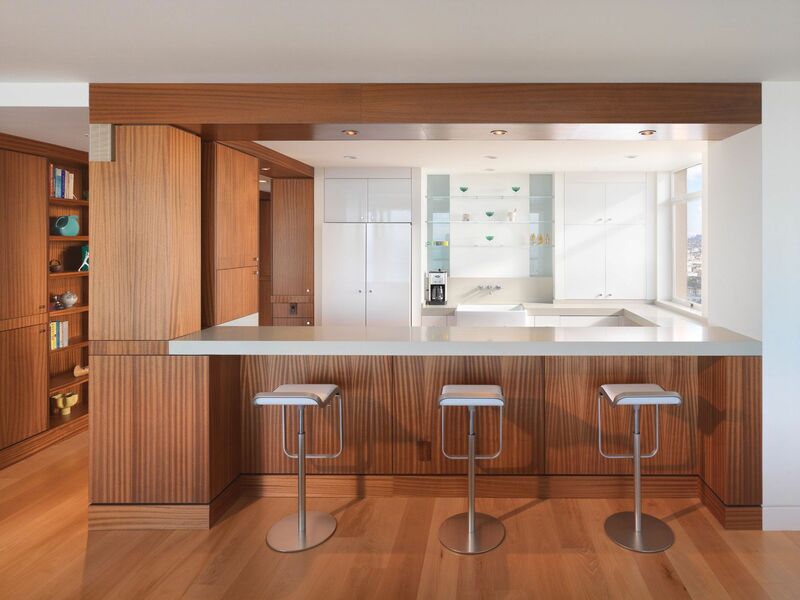 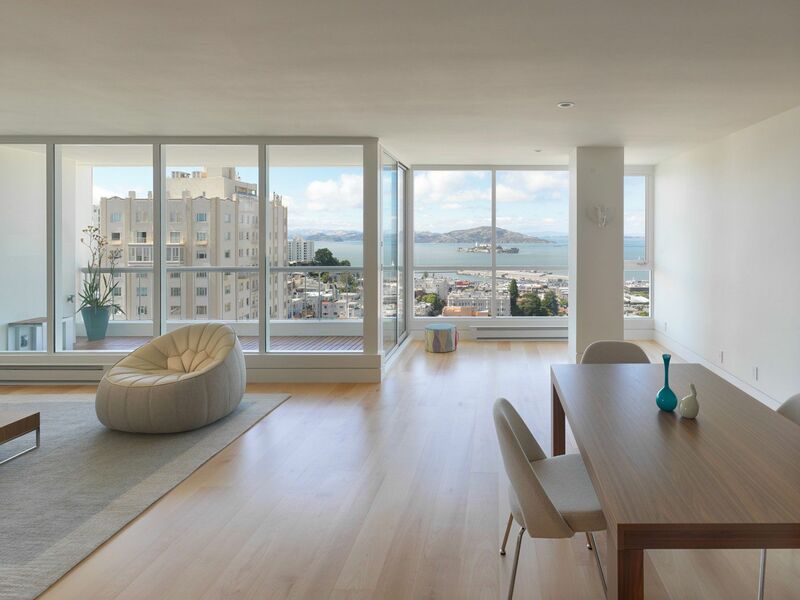 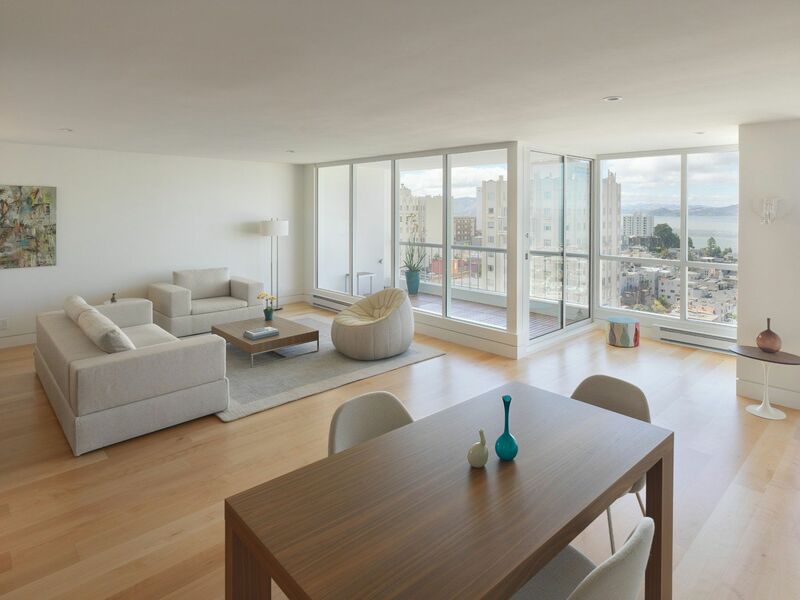 Existing rooms were rearranged and previously partitioned areas were opened to take advantage of the stunning San Francisco Bay views and light. 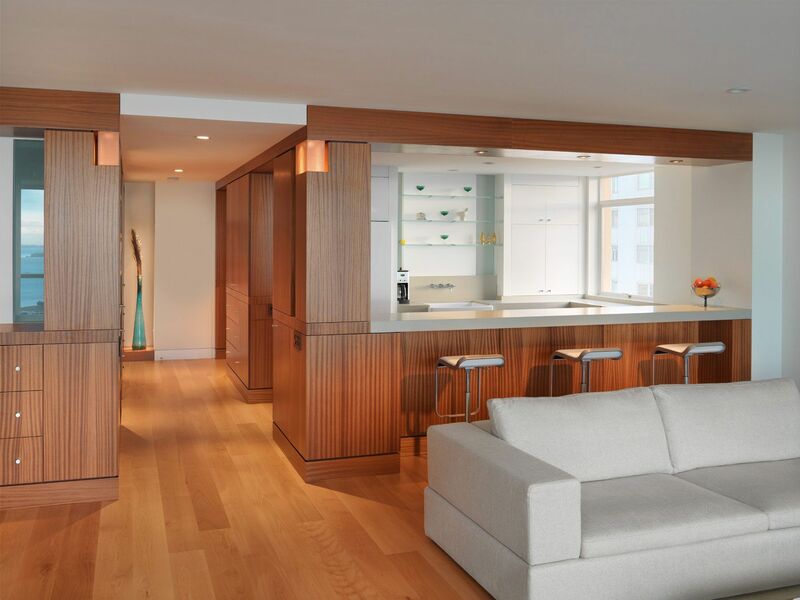 Mahogany corridor cabinet walls define the central circulation and provide storage and shelving for artifacts and art. 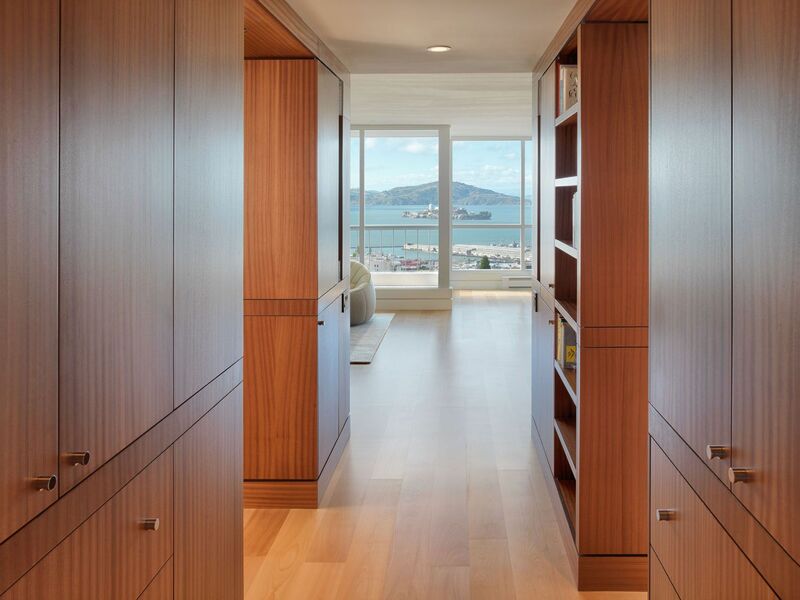 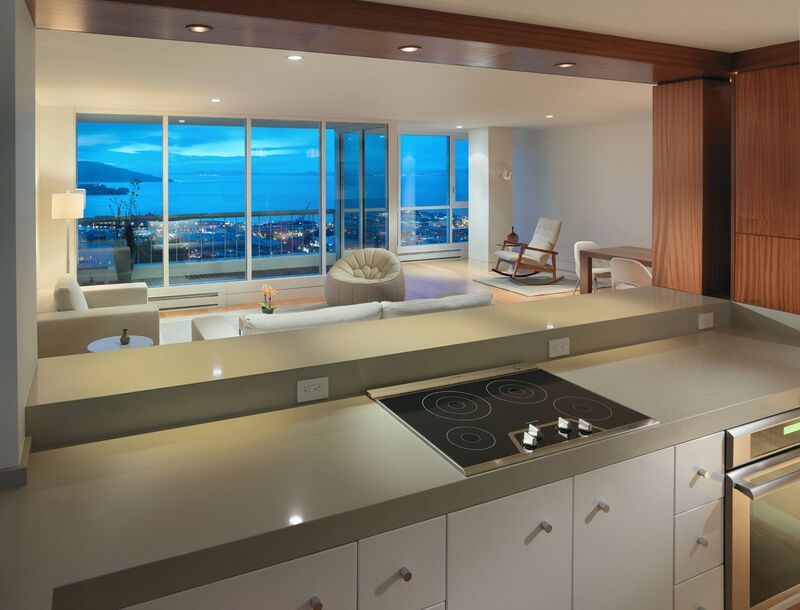 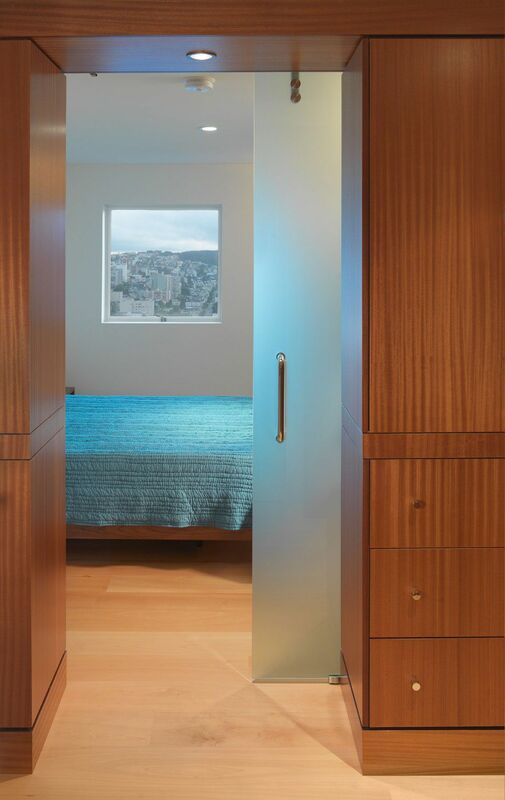 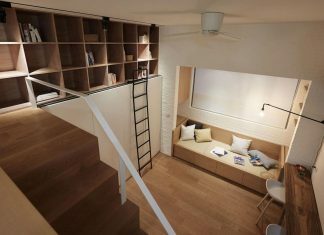 The monolithic wood corridor walls convey a warm contrast to the white perimeter of the rest of the volume while primary natural light from the view side of the apartment is transferred through vertical translucent glass openings to provide a relative balance of light to spaces with limited natural light.